As per Wikipedia, Learning is acquiring new, or modifying and reinforcing existing, knowledge, behaviors, skills, values, or preferences and may involve synthesizing different types of information. As a learning professional it is imperative that we have indepth understanding of various types of learning styles that are not only important for adult learners, however, important for students of any age. However, before dwelling on learning styles, it is imperative that we get a bit of understanding around learning principles and various types of learning. 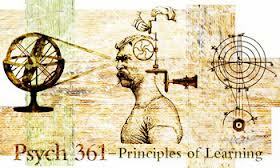 Educational psychologists and pedagogues have identified several principles of learning which has been outlined below. Readiness - If students have a strong purpose, a clear objective, and a definite reason for learning something, they make more progress than if they lack motivation. In other words, when students are ready to learn, they meet the instructor at least halfway, simplifying the instructor’s job. Exercise - The principle of exercise states that those things most often repeated are best remembered. It has been proven that students learn best and retain information longer when they have meaningful practice and repetition. Effect - The principle of effect is based on the emotional reaction of the student. The principle of effect is that learning is strengthened when accompanied by a pleasant or satisfying feeling, and that learning is weakened when associated with an unpleasant feeling. The student will strive to continue doing what provides a pleasant effect to continue learning. The instructor should set up the learning situation in such a manner that each trainee will be able to see evidence of progress and achieve some degree of success. Primacy - Primacy, the state of being first, often creates a strong, almost unshakable, impression. Things learned first create a strong impression in the mind that is difficult to erase. This means that what is taught must be right the first time. If, for example, a student learns a faulty technique, the instructor will have a difficult task correcting bad habits and “reteaching” correct ones. Recency - The principle of recency states that things most recently learned are best remembered. Conversely, the further a student is removed time-wise from a new fact or understanding, the more difficult it is to remember. For example, it is fairly easy to recall a telephone number dialed a few minutes ago, but it is usually impossible to recall a new number dialed last week. The closer the training or learning time is to the time of actual need to apply the training, the more apt the learner will be to perform successfully. Intensity - The principle of intensity implies that a student will learn more from the real thing than from a substitute. For example, a student can get more understanding and appreciation of a movie by watching it than by reading the script. Likewise, a student is likely to gain greater understanding of tasks by performing them rather than merely reading about them. The more immediate and dramatic the learning is to a real situation, the more impressive the learning is upon the student. Freedom - The principle of freedom states that things freely learned are best learned. Conversely, the further a student is coerced, the more difficult is for him to learn, assimilate and implement what is learned. Compulsion and coercion are antithetical to personal growth. Requirement - The law of requirement states that "we must have something to obtain or do something." It can be an ability, skill, instrument or anything that may help us to learn or gain something. A starting point or root is needed; for example, if you want to draw a person, you need to have the materials with which to draw, and you must know how to draw a point, a line, a figure and so on until you reach your goal, which is to draw a person. In my next posts, I will cover learning types. Watch out the space. Key Learning Principles which are necessary to develop characteristics of a leader. So many people don't apply these principles in their life and away from any big opportunity. At the end blame to fortunate that they are unlucky people which is not fair. However, I want to get right here to acknowledge such principles then implement in my life to getting positive response. Thanks a lot for the great tips here, I really enjoyed reading it a lot. Make sure to checl this http://essayreviews.webs.com/handmadewritings-review here to be sure to avoid fake & scam services. Thanks a lot & best of luck to you! These are amazing tips that I hope will help me in compiling excellent reviews of essay writing services. Thanks for the encouraging us to learn.